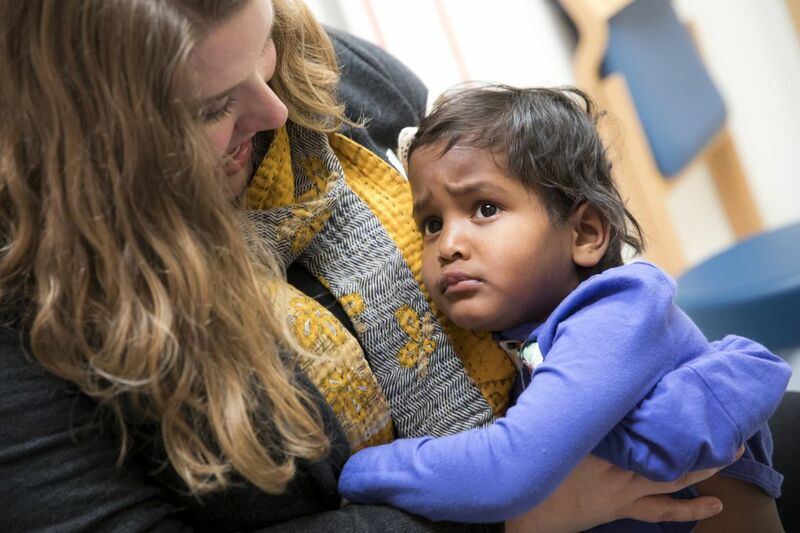 Back in India, Radhika Ennis was badly burned on both her legs before she turned 2. 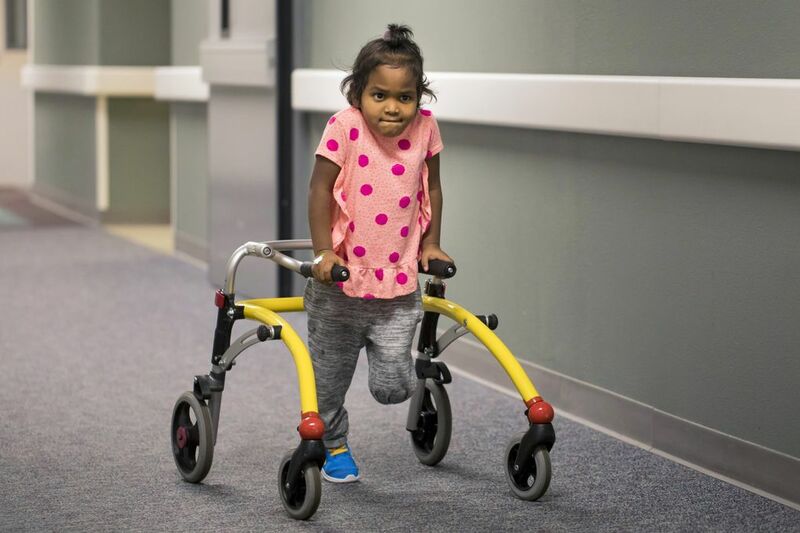 Now with the love of her new parents and the help of experts at Seattle Children's, she has the confidence to take off running. Radhika Ennis takes off to run with confidence, shaking off her dad Jeremy’s hand. A few steps too fast and she tumbles to the ground with a laugh. She clambers up to lead the way into her physical therapy appointment at Seattle Children’s South Clinic in Federal Way. Walking is still new for the 4-year-old. 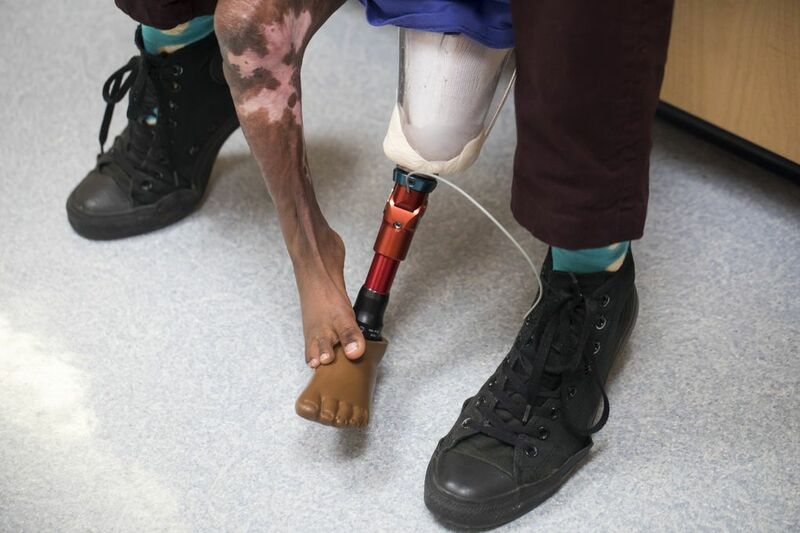 Three weeks earlier, Radhika got her first prosthetic leg. 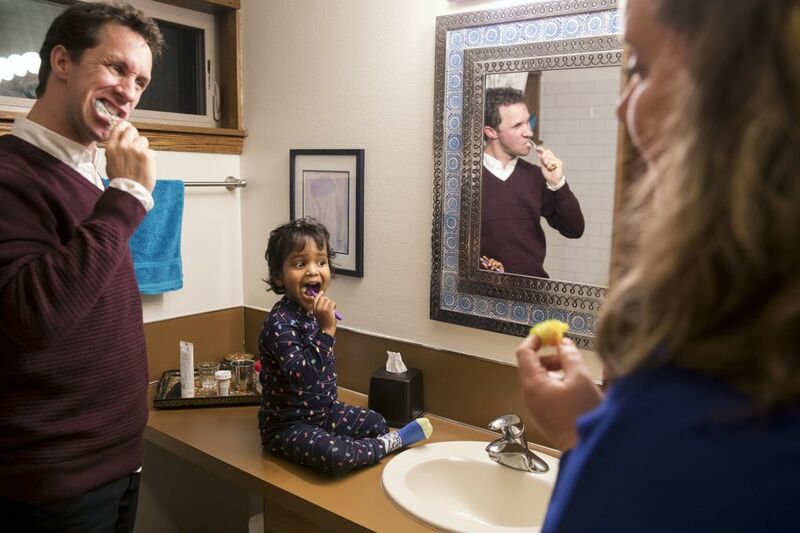 Jeremy and Leslie Ennis, of Olympia, found Radhika in 2017 through the World Association for Children and Parents adoption agency in Renton. She was living at an orphanage in Jharkhand state, in eastern India. The couple had begun preparing for her arrival long before then. Before they started the process in 2015, Leslie said, they didn’t know anyone with firsthand experience with international adoption. They read a lot of books and learned as much as they could from the agency, completed a home study and were accepted into the India program. Leslie felt a familiarity with India; she had worked in Bangalore for two years as a language and cultural consultant for Microsoft. She now works in oncology clinical research, which made them more open to matching with a child with medical needs. 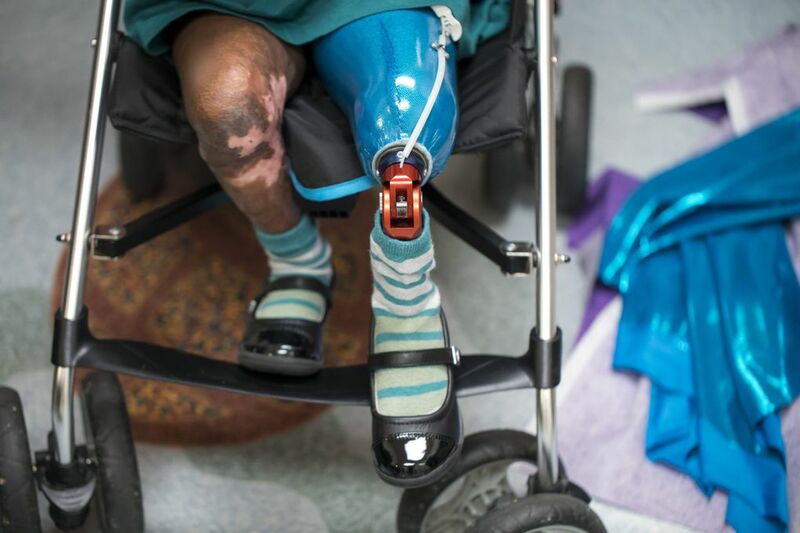 This led them to Radhika, who had been badly burned on both her legs from the thigh down before she turned 2. It left her unable to walk. 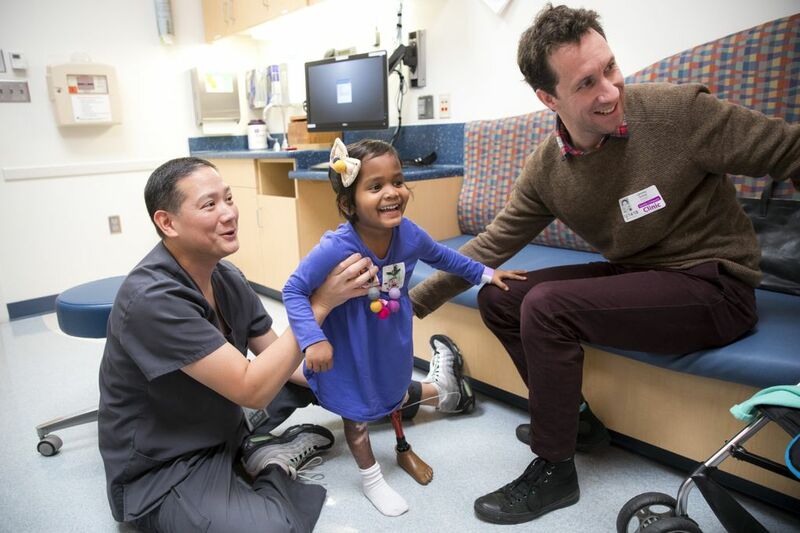 With her medical records from the orphanage, they consulted with the Center for Adoption Medicine at the University of Washington Medical Center to evaluate her potential options. “There was a possibility that she wouldn’t be mobile at all,” said Leslie, but at that point, she said they were committed to bringing her home. They first traveled to India in May 2018, then in July to get custody of Radhika. It wasn’t easy at the outset. The language barrier made communication difficult. Radhika spoke only Hindi. But they were able to take her for a night in a hotel to get some alone time. “We were able to see tiny glimpses of her personality,” said Leslie. Her first English word was “goat,” after seeing them out the car windows. “Those first days were tender and difficult,” she said. 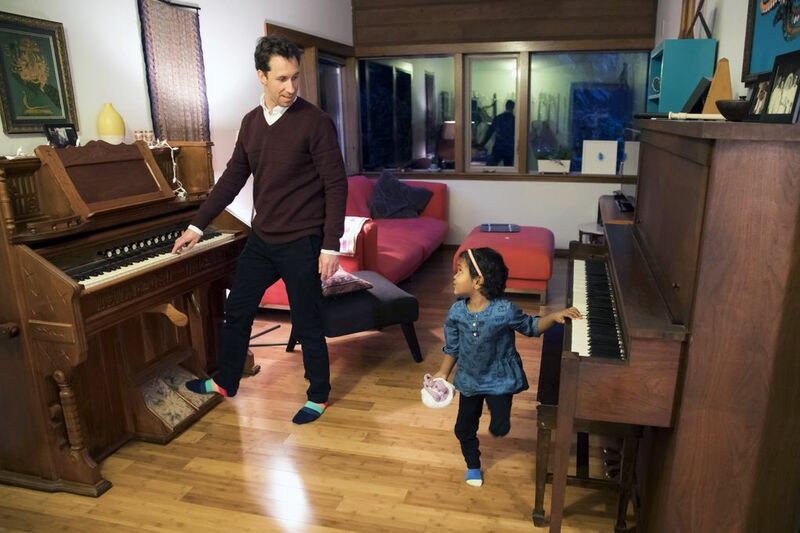 Jeremy and Leslie got custody of Radhika in India on July 4, 2018, and brought her home to Olympia that month. Jeremy remembers being so tired after returning from a 24-hour flight to a 12-hour-plus time difference. But not Radhika. 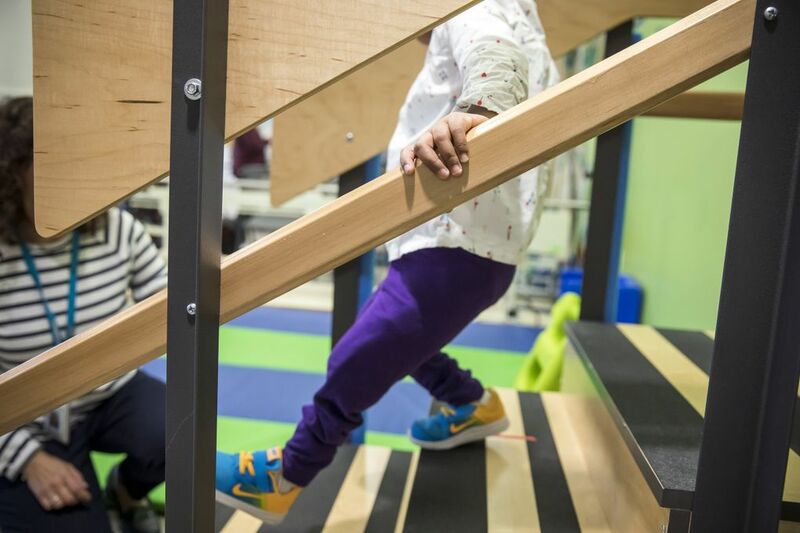 In October, at Seattle Children’s, the lower part of Radhika’s left leg was amputated in a procedure called a knee disarticulation. 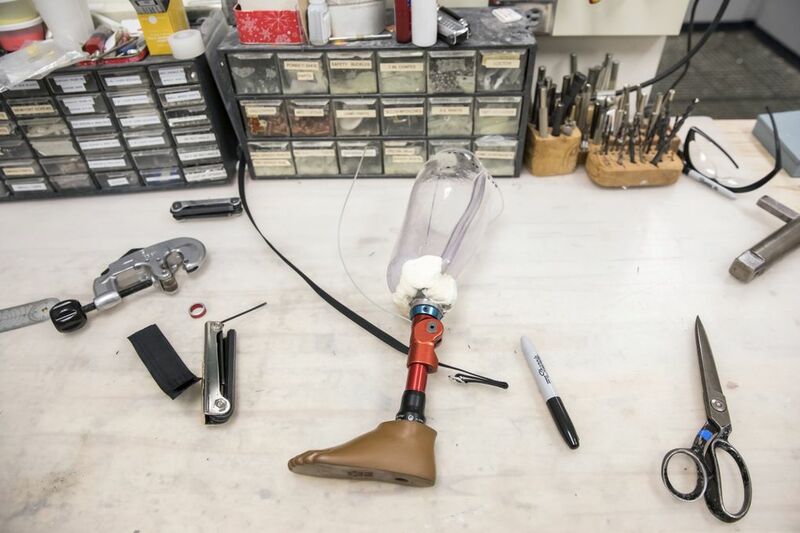 Instead of cutting into bone, doctors removed the damaged part of the leg below the knee and left a base for a prosthetic. 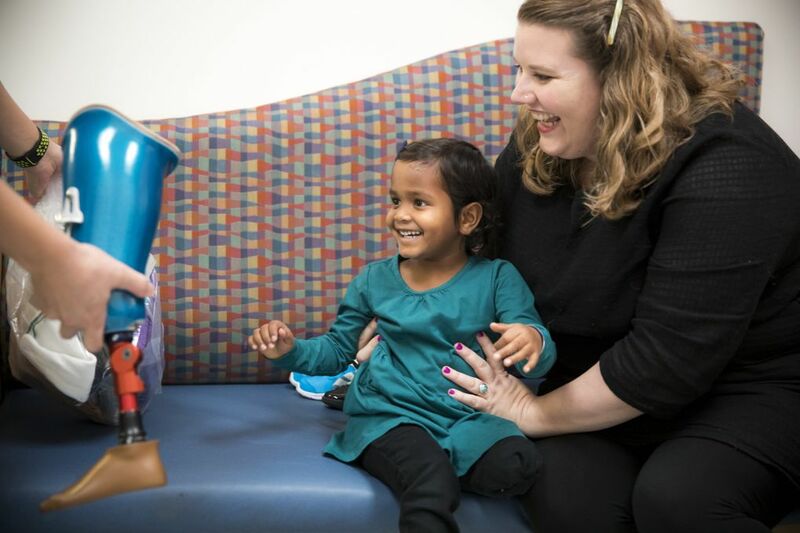 After Radhika’s leg healed, they worked with Peter Yukawa, a certified prosthetist orthotist at Children’s, to build her a prosthetic. Most important to her, she got to pick the color for the socket, the upper part that fits over her remaining leg. She went with a showy and sparkly blue. 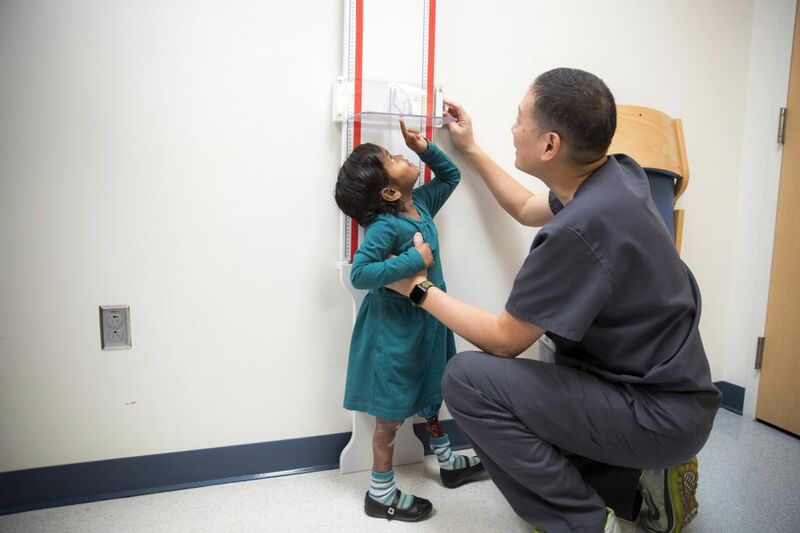 At her first fitting with the full prosthetic, Yukawa evaluated Radhika’s height and the length of the prosthetic as she tried it out. He took it back into the orthotics lab, which looks like a workshop with regular tools, to shorten her red aluminum shin with a pipe cutter. At the final fitting, Leslie brought along Radhika’s previously unused left shoe, and undid the hair tie they used to shorten her pant leg. They talked about how different she looked as she stood at her new height, just over 3 feet tall. “She seems pretty adaptable,” said Yukawa, as Radhika toddled around. 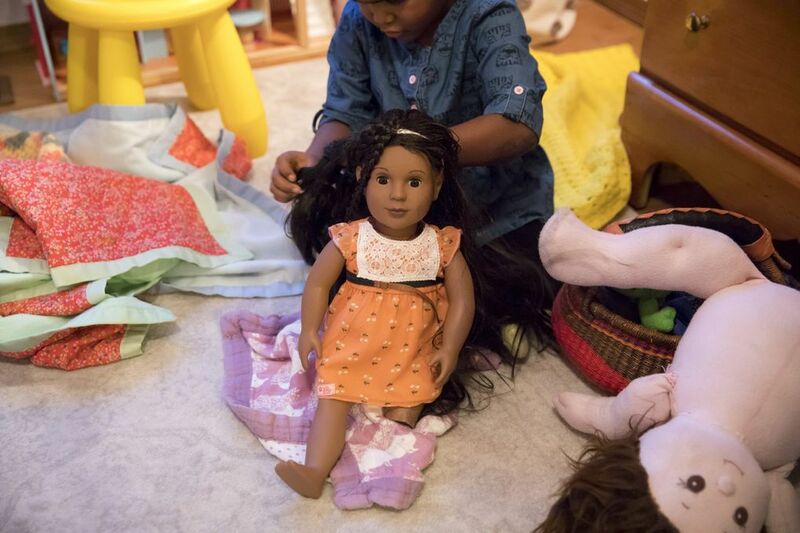 “She’s pretty resilient,” said Leslie, recounting the last six months, which had brought her to a new family in a new country, and a new life on two feet.